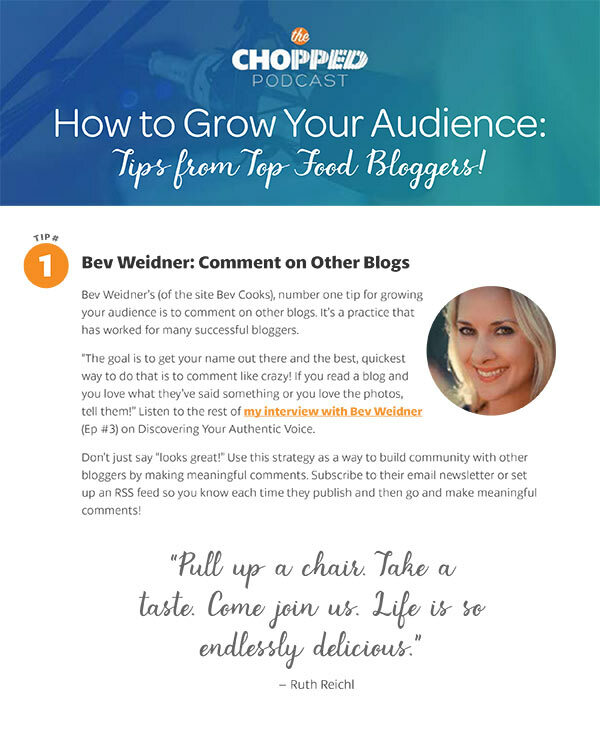 As a food blogger one of your primo taste is creating value for your audience. It is so central and yet elusive at times as well. Today I’m sharing my interview with Heidi Larsen of Foodie Crush, about how we can bring value, the impact of food photography, and using planners to guide and plan our everyday work. I’m excited to share with you this interview with Heidi Larsen of the site Foodie Crush. We’re talking about the importance of creating value for your audience and, of course, how to use a planner to do that. First, take a look at Heidi’s food photography. (see link to her site below). Her photography makes me drool. It’s magical! And our conversation was magical too. I was so surprised to learn that Heidi stumbled upon her style of photography by happenstance. Of course, that only happens because she was playing around with different styles of photography. It goes to show that the best thing you can do is find the food photography that works best for you and your audience. It’s easy to compare our photography to others, but ultimately the goal is to keep practicing and learning new skills so you can break away and create your own style. Heidi comes from a publishing background and I’ve oftentimes said that I think it’s the one area that we could all learn more about. But the publishing side? That is another topic altogether. However, it’s something very important to food blogging, especially these days. Heidi and I discuss the importance of finding that balance between knowing your audience and publishing content that meets their needs while also resonating well with yourself. I think it’s a tricky area for bloggers, but the more we can come to understand that, the stronger our brand can be. Heidi also talks about her planner the Nourished Planner (see link and discount code below). I love this planner because a lot of thought went into making it more than just a “to do” list. There’s a lot of thoughtful reflection exercise and ways to keep you nourished inside and out. 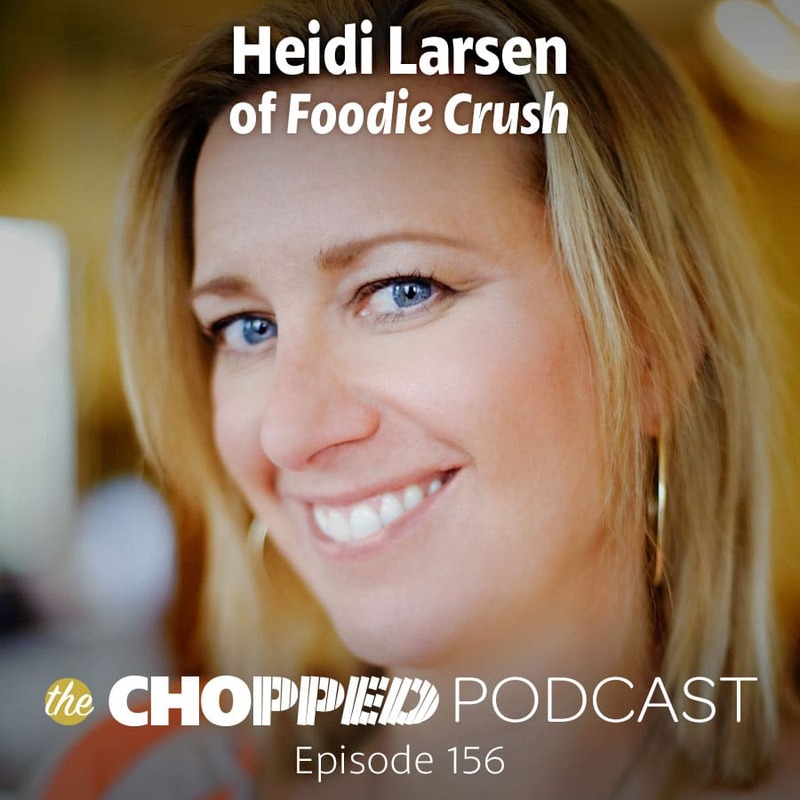 Heidi mentions a special discount code just for Chopped Podcast listeners! . I was so inspired by this dscissuion with Heidi on creating value for your audience and I hope you will be too. Order your Nourished Planner and use the coupon code Chopped30 today!